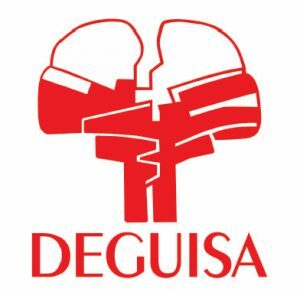 Due to its experience, DEGUISA is an european eference for a lot of particular implementations. As an example, the new regulations on reduction of environment emissions has represented the quick adoption of the technology for Regenerative Burners in the most up to date companies, in order to comply with the strict limits of NoX emissions and significantly improve the consumption and the production in their processes. Deguisa S.A develops its activities in two Divisions: Refractory Products and Combustion and Control Systems. The Refractories Division designs, manufacture and commercialize special refractories withstanding very high temperatures when working with melted metals, corrosive atmospheres or high mechanical requirements, without loss of their physicochemical characteristics, covering the range of Shaped Refractories, by means of pressing or pouring and Unshaped Refractories. In 1995, DEGUISA designed and patented the new Sliding Gate Valve System NOVALCO®, developing new families of refractory synthetic materials, which allow to improve the performance of the sliding gates and reduce the environmental impact. 35% of its production is destined to export. The Combustion and Control Systems Division realizes the technical definition of the combustion systems as well as their manufacture, supply and burners installation, gas and air trains and their corresponding systems for regulation and control for sectors such as: siderurgy, chemical, glass, frit, …etc..